Wedding photography offers styles to choose from. Professional wedding photographers provide help for the bride and groom which wedding photography style they think would be appropriate for their taste. It is always time-consuming and confusing for every bride and groom to decide on and pick a photographer with the precision in visual style, expertise, ethics, and professionalism. Professional wedding photographers employ the latest techniques in photography to keep up with the trend but one style does not fit all. The best thing to do is to focus on how you would want the images captured to create a privileged possession. Have a detailed discussion and bare what’s on your wish list to your photographer and come up with the best photography design appropriate and acceptable to you. These days’ photographers boast of and rely on their sophisticated digital cameras to get the best shots. Providing quick and easy reviewing of the photos and probably retakes if need be. There are two types of wedding photography styles to choose from: traditional and photojournalistic. Most couples need to understand the difference and it will help in decision making as to what style they would want for their wedding mementos. Traditional wedding photography captures pictures of course, the traditional way with traditional poses. This is when all family members from different generation are present and has to be in the pictures. From the side of the groom’s to the bride’s family plus the combination of family, friends and the entourage take turns posing with the bride and groom for posterity. Not as pretty as the photojournalistic style but for those who value family from one generation to the next typically go for this style. It is the style that dictates the setting. What is Photo Journalistic Wedding Photography? This is a very trendy approach and is ideally chosen by young and hip couples. It is more like taking pictures for a magazine and is like telling a story as it unfolds, a story of how it all began laid out in order. Wedding photojournalism “is characterized by its candid, creative and natural results spanning serious to humorous scenes as your wedding photojournalist documents the moment as it naturally happens.” Photographer tries to take candid snapshots and capture best moments as well. This style usually devotes a day before the actual wedding to take photos of activities the bride and groom are into and captures images. The most important decision in choosing a wedding photographer is to understand and identify what and how you want the images to come out. It would be helpful to allot more time when choosing and not regret on the decisions made. Remember, there is no way to fix the style of your photos once they are taken. It is not something that you can return and exchange. You and your groom need to make sure their style is in sync with yours. The arrival will be a lifetime keepsake so make sure to go for the best flowers to the food and the gardens. Your wedding pictures will be a lifelong keepsake, so the wedding photography must be top-notch. 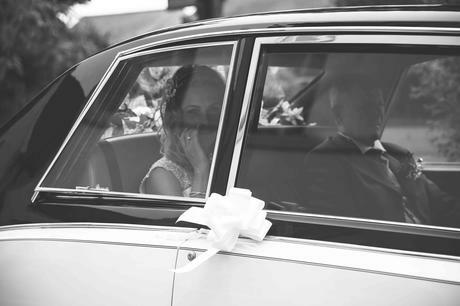 Here at Nathan M Photography, we shoot weddings in Sheffield, Yorkshire and other nearby areas including Derbyshire. If you are getting married and looking for a local wedding photographer, enter your details below to download our wedding photography packages.